Few pieces of music are as instantly recognisable as “Vivaldi's Gloria”. But how many people know that it was originally performed entirely by women, including the lower voice parts? Schola Pietatis Antonio Vivaldi ("Vivaldi's Women") is an all-female ensemble of singers and players which aims to recreate the sound of Vivaldi's Figlie di Choro, those foundlings at Venice's Ospedale della Pietà who performed at Mass and Vespers from behind grilles in the high choir galleries or "cantorie". It reflects the age range and vocal range of Vivaldi's musicians, with women aged 14 to 60+, some singing tenor and bass. The group uses period instruments played at 18th-century Venetian pitch (A˜440Hz). The work of Schola Pietatis Antonio Vivaldi is based on the findings of Vivaldi researcher Micky White, which give us a comprehensive picture of the daily life of this remarkable institution during the 18th century, the heyday of its musical tradition. We even know the names and ages of the women who sang and played at specific times, together with their instruments and voices; in some cases the names of soloists are written into the music. 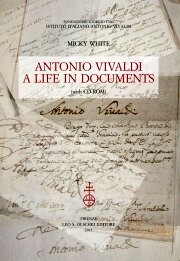 Micky White's eagerly awaited biography "Antonio Vivaldi. A Life in Documents" (L. S. Olschki Editore, Firenze, 2013) presents a chronological series of documents accompanied by copious notes. It brings the composer vividly to life in his musical, religious, social and family environment, and is accompanied by a CD-ROM of photographs of the original material. Schola Pietatis Antonio Vivaldi includes several past and present members of Oxford Girls' Choir, and was founded by musicologist and choral director Richard Vendome. In 2005 it recorded “Vivaldi’s Women” and “Gloria” for BBC TV, and Vivaldi’s Vespers for Radio 3, with players drawn from the Orchestra of the Age of Enlightenment / Jerwood Experience. 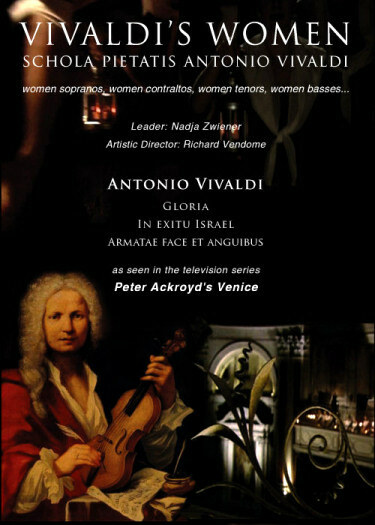 "Vivaldi's Women" was awarded a Gold Medal in the "Best Documentary on a Music Subject" category in the 2007 Park City Film Music Festival, Salt Lake City. During October 2007 the choir performed in Antwerp, Utrecht, London and Bristol with the Orchestra of the Age of Enlightenment directed by Pavlo Beznosiuk, in a programme broadcast on Netherlands Radio 4 and BBC Radio 3. In February 2009 Schola Pietatis Antonio Vivaldi recorded music for the Sky Arts series "Peter Ackroyd's Venice", and this is now available on DVD.